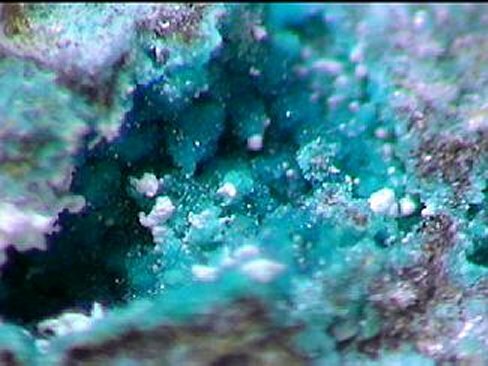 Comments: Light blue micro crystals of osarizawaite and minor azurite filling vugs. Location: Silver Hill Mine, near Marana, Pinal Co. Arizona, USA. Scale: 3 x 2 cm.